Is a £45m concert hall really a priority ? « The Scottish Pop Music Exhibition Centre needs a building ! 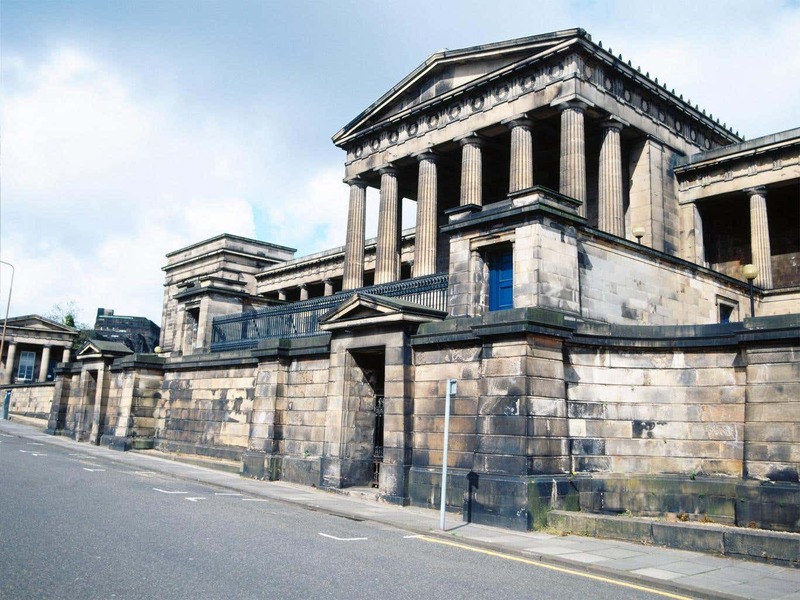 With so many important arts related buildings needing refurbished or to relocate I do really wonder whether the money being spent on the new 1,000-capacity concert hall earmarked for a site behind the Royal Bank of Scotland’s historic head office on St Andrew Square is best use of the money. Now originally when I heard about the new hall it was being financed by the Dunard Trust administered by Carol Colburn and given Carol’s background as a classically trained pianist she is clearly entitled to spend the money as she sees fit on a project of her choice. However then I later read the concert hall was to receive £20m from the City Deal in matching funding. Now it has been announced that there will be a public fundraising campaign to raise £10m for The Impact Centre as it will be known and the Dunard Trust has set aside a matching £10m. So of a £45m project at least two thirds will come from public/government funding so that then raises the question whether this is the best use of the money. A lot of arts folk remind me of that time Derren Brown went to the greyhound racing. He would have a losing ticket but walk up to the cashier saying “I have a winning ticket” and somehow they would believe him and pay out. Similarly these people tell you those fag packets picked up from the street and stuck on the wall are “art” or that horrible square looking building is a fabulous example of Brutalist architecture. People are just scared to be declared philistines and dutifully nod. In this case we are just told Edinburgh lacks “a purpose-designed, mid-sized venue which can provide a world-class acoustic experience” and nobody goes wait a minute what about …………. Now there may not be something that exactly matches that description but Edinburgh is not short on buildings that many would argue mean a concert hall like this is not a priority. And that is the key word there a “priority”. Sure if there was enough money out there why not have such a building but truth be told there is a desperate shortage of funding for the upkeep, refurbishment and relocation of arts related buildings so maybe the funds could be better spent. The King’s Theatre is also fundraising needing around half the amount being spent and while there was talk in 2014 of the Filmhouse moving to Fountainbridge nothing came of it with again £20m+ quoted as needing to facilitate the move. I’m sure there are many others but the Queen’s Hall could do wonders with much less than a quarter of that money being spent as would the Leith Theatre. Clearly several other projects could be achieved using the public money so I find it hard to justify the concert hall. Of course it was the one billion pound City Deal so maybe it has more money for these buildings on top of the £20m but I’ve heard nothing along those lines so far. There is of course only so much money out there and the new concert hall raising funds can only impact on the ability of the other buildings to find donations and sponsors. A well-named centre indeed! If the Dunard Trust want to build a concert hall then who are any of us to argue but once other funds are used then it is not so clear and certainly it appears to me that like Derren Brown they have simply stated the hall is needed and the money has been handed over. I was trying very hard not to mention the old Royal High again but was shocked to hear that there were fears it would become a budget hotel. Now I very much suspect that despite promises from the developer for the King’s Stables Road site the hotel there will suffer that fate so I wondered what new evidence had surfaced to cause such claims. As it turned out the “couple battling to halt Edinburgh’s former Royal High School being handed over to hotel developers” were “former concert pianist Carol Colburn, one of Scotland’s leading arts philanthropists, and Murray Grigor, a former Edinburgh film festival director.” What there didn’t seem to be was any reason to believe that the six star hotel was to be ditched to be replaced by a “Travelodge or something” and what it did seem to be was simple scaremongering from those supporting the rival music school. I do completely agree with the couple that it would be for the best if the council’s contract with the hotel developers was to be made public but it would be highly unusual for a confidential agreement to receive such treatment. It has been confirmed the developers have a lease for several more years and I think it would be safe to say without seeing it that breaking that contract would indeed cause the lawsuit Ms Colburn seems to fear. Don’t get me wrong neither Duddingston House Properties nor Urbanist Hotels have covered themselves in glory handling what has become a lengthy process and their attitude to publicity would need to improve to be even called dysfunctional. They have adopted a siege mentality that while understandable is not acceptable. As has been very well documented recently classical music already has a disproportionate amount of financial support so it is a real pity the rest of the arts in Edinburgh doesn’t have its own Carol Colburn as if they did most of their worries would disappear overnight. It is totally understandable that Ms Colburn would support calls for a new concert hall and that St Mary’s music school be given the Royal High School site but decisions have to be based on facts not unfounded fears and guesswork. I think it is time for all sides to take a deep breath and move forward. While The Apprentice doesn’t seem to get the genuine characters it used to do I still always look forward to a new series and watching episode two this week the participants were starting to bed-in. It was a luxury hotel challenge and both sides were fairly dreadful but the girls won and Alan Sugar announced their prize – visiting the Rosewood London and its Scarfe’s Bar to meet internationally renowned cartoonist, Gerald Scarfe, to have their caricatures drawn. Rosewood are of course the very hotel operators that will run the luxury hotel on Calton Hill should the developers ever be successful. Interestingly it had been claimed in that very same article on the threat of a budget hotel that “Rosewood don’t understand that their name is mud” which again seemed to be a claim that came completely out of left field. Apart from confirming their commitment to delivering a luxury hotel on Calton Hill they have had no role to play in the saga. As has been said by others before such negativity towards a respected brand like Rosewood risks sending out the wrong message to other potential investors in Edinburgh.